The integrated SUN ANGEL skin sensor measures your sensitivity to UV light. 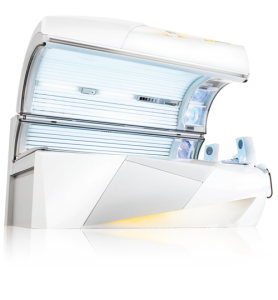 It then calculates a personal tanning session that emits the correct dose of UV for a great tan while virtually eliminating the possibility of overexposure. 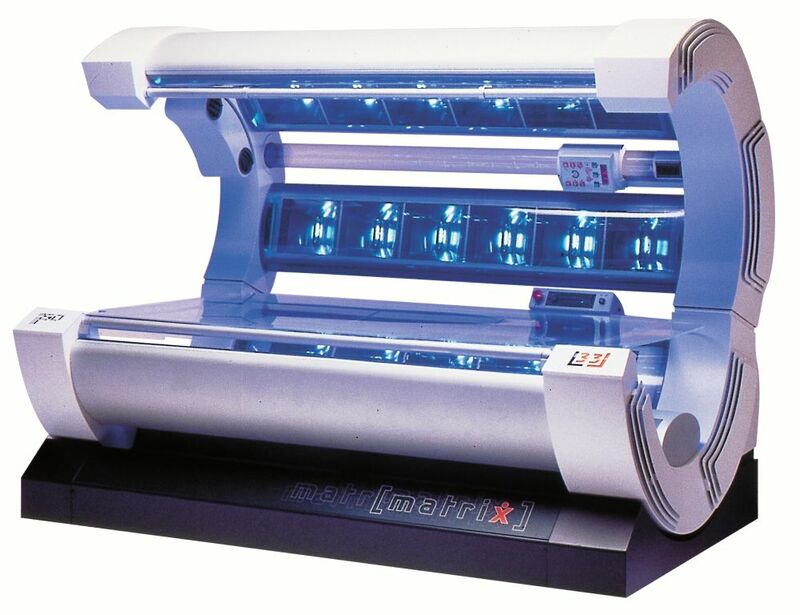 The Matrix L33 Hi-Pressure Tanning System will take you to a level of tanning that you could never imagine. This 9 minute stand-up generates 3-4 times the power of a standard bed and will give you a dark tan in just 4-6 sessions! 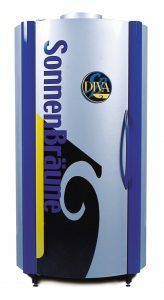 The Diva is a specially designed tanning booth shaped to place you at the center of tanning intensity so you are being evenly showered with bronzing, all-over tanning power. 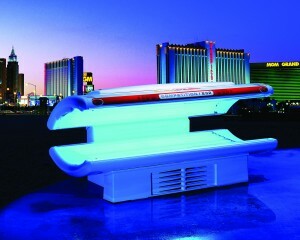 Seven foot staggered lamp design provides head-to-toe tanning coverage. This sunbed is great for uneven tan lines! 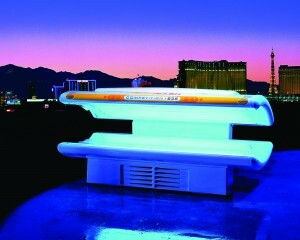 Our SunDash equipment utilizes Wolff System tanning technology featuring 20 minute sessions.